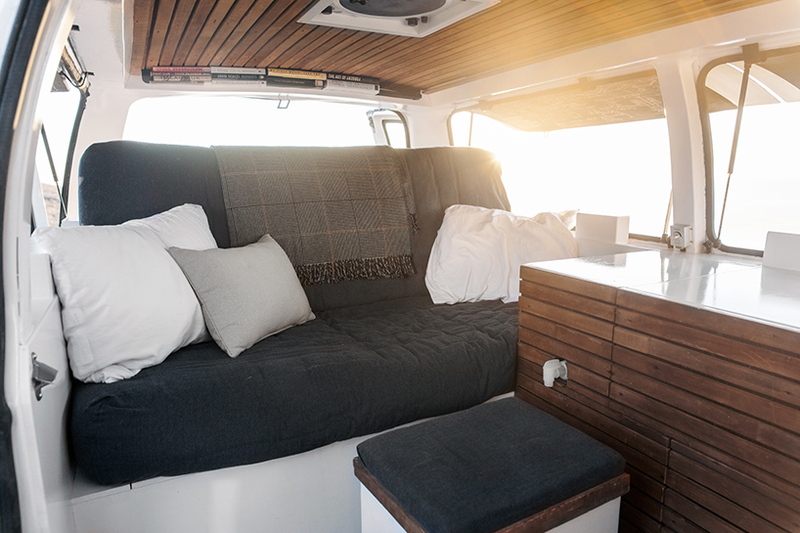 A cargo van isn’t the most obvious choice of a vehicle to serve as the basis for a converted mobile home or office, considering its relatively cramped quarters and less-than-pleasing looks. 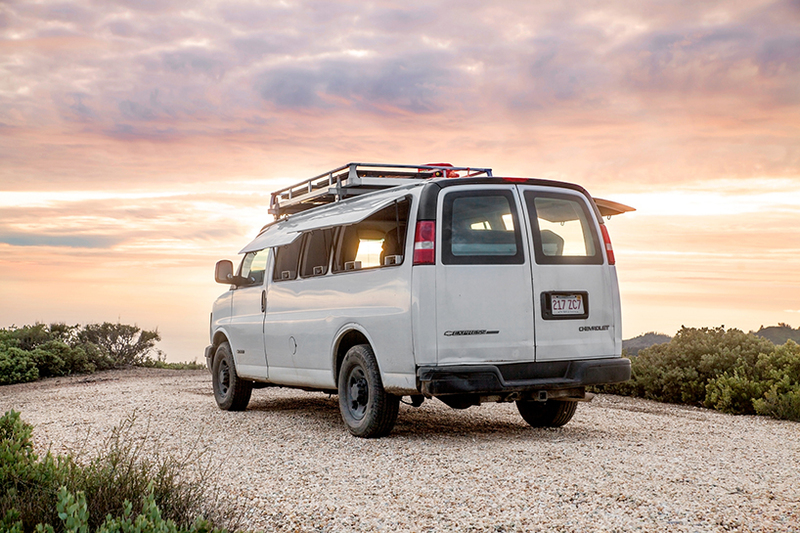 When filmmaker Zach Both found this ten-year-old Chevy with over 200k miles on it, it was definitely worse for the wear, with a dirty, dingy interior that definitely doesn’t scream ‘comfortable place to sleep and work.’ But over the course of a year, Both got creative with totally transforming the van, inside and out – and you won’t believe where that beautiful wood on the ceilings, floors and cabinets came from. 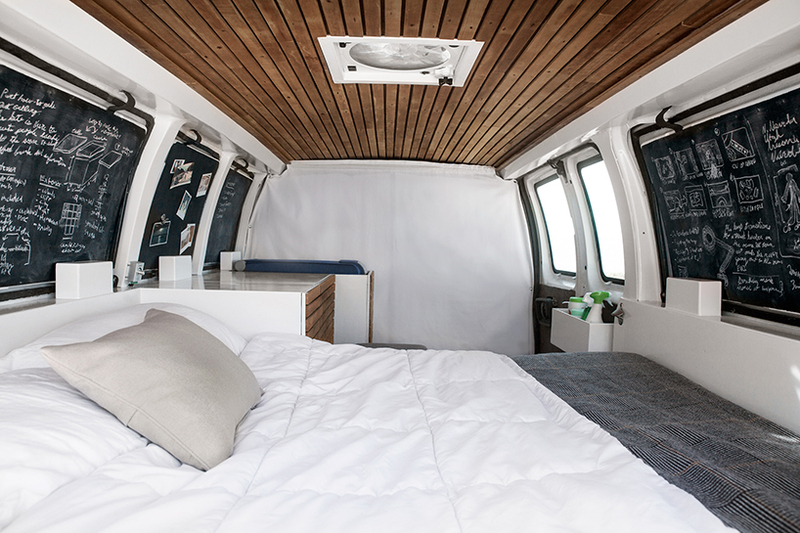 Taking a minimal approach to the design, Both added just enough features to comfortably fit inside the back of the van without crowding it or going without essentials like a comfortable bed and a stove. 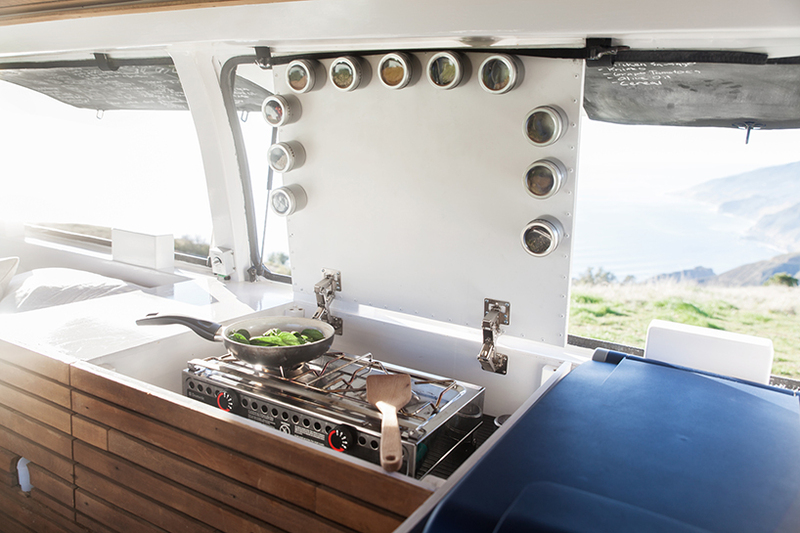 A futon folds out at night and compacts during the day, while the kitchen counter doubles as a desk. Both pulled influences from contemporary architecture, reclaiming wood from a 19th century church to incorporate into the design. Even with no previous carpentry or interior design experience, he was able to create a space that’s both beautiful and functional. 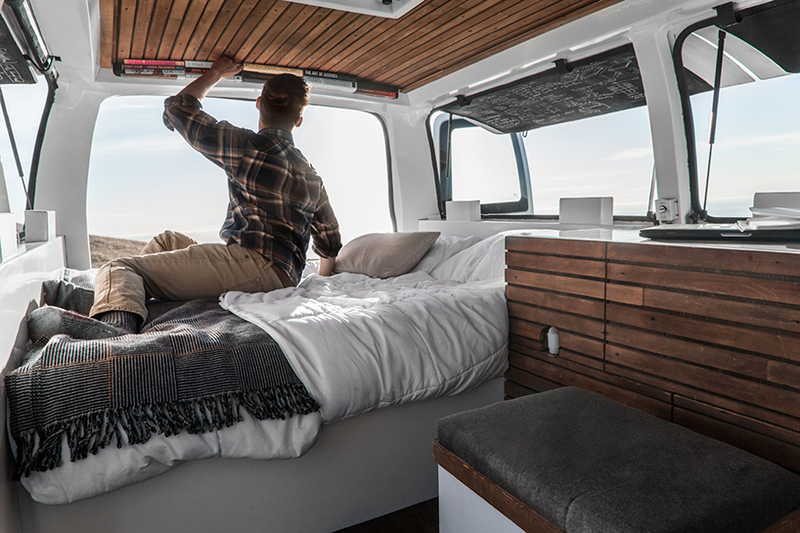 The windows now swing outward to completely open the interior to sunlight and cross breezes, which must be especially nice when he’s parked in stunning places like California’s Pacific Coast Highway. 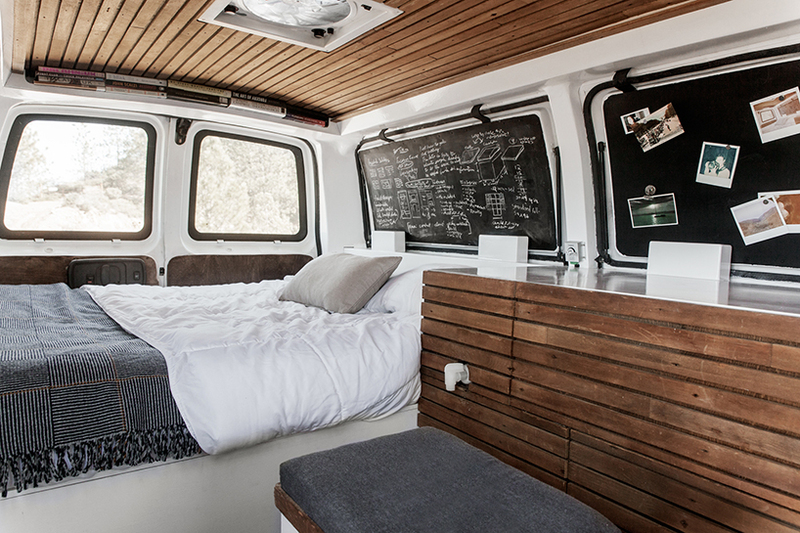 The insides of the windows are covered with chalkboards, a great place to jot down all of his ideas while he’s working. 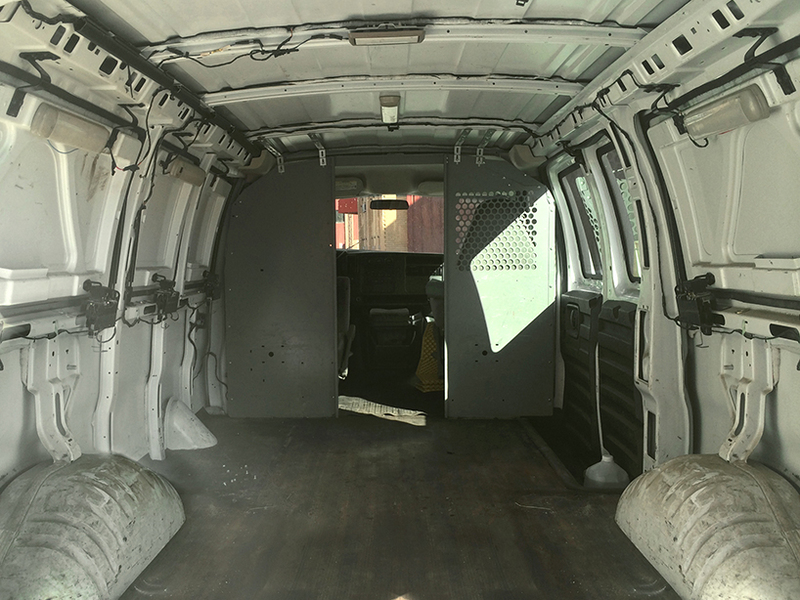 Storage compartments hide clutter, and a canvas divider separates the back from the cab. 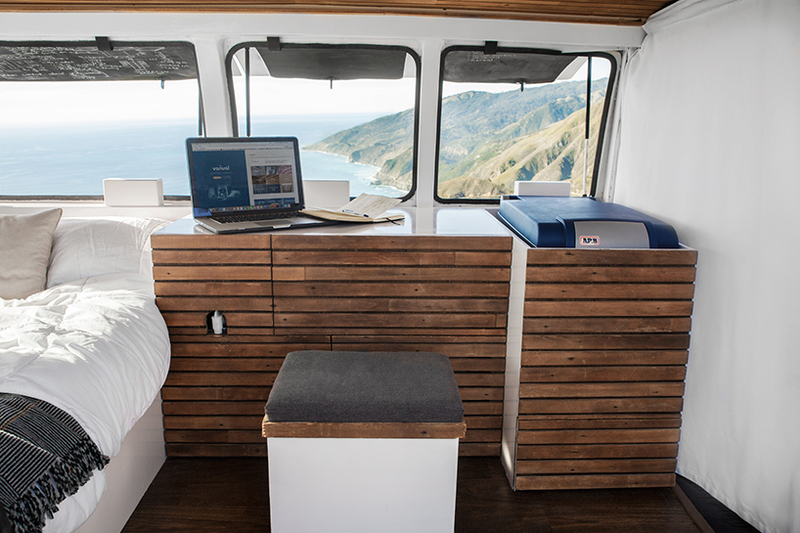 He even wired an ARB refrigerator to run on a Goal Zero solar generator, with the panels mounted to the roof. Since completing it, Both has been able to live the nomadic life of his dreams, traveling all over the West Coast and getting inspiration everywhere from Joshua Tree National Park to Oregon’s snowy Mount Hood. Being able to work in beautiful, constantly changing environments could give just about anybody’s creativity a big boost. Feeling inspired? 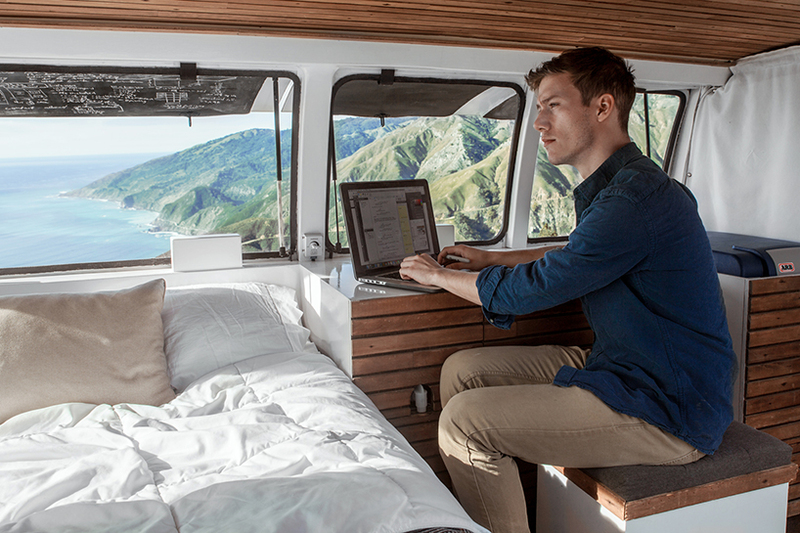 Both wants to spread the word about laid-back van life with detailed instructions on how to replicate his results. 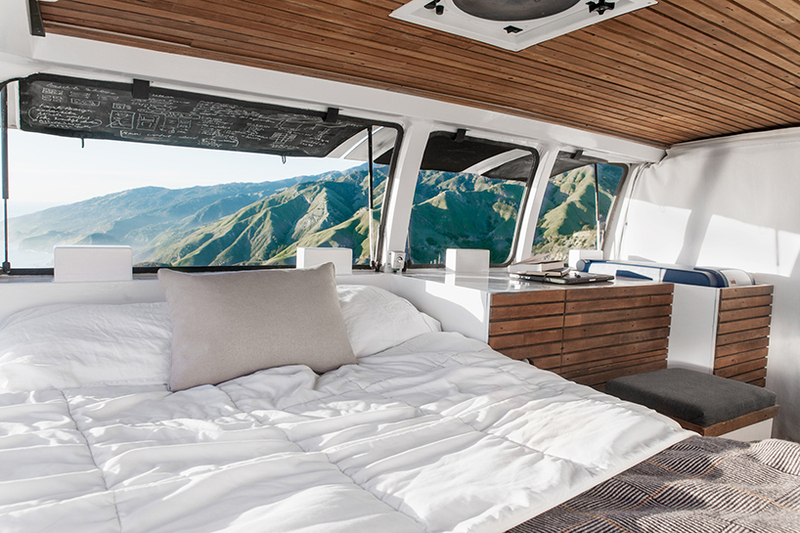 Download ’The Vanual’ for information on choosing a vehicle, preparing it, insulation, flooring, ceilings, making the beaded kitchen, installing the solar power system and adding all the finishing touches. It even includes info on ideal places to park.